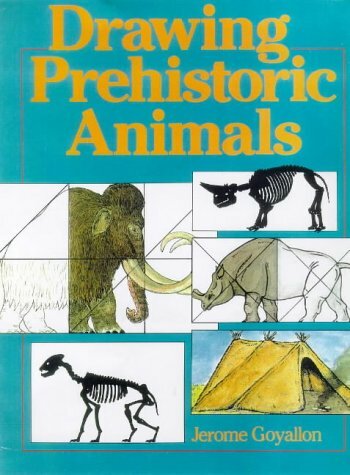 "...a springboard for a number of student projects in the life and Earth sciences....Teachers will find this...a valuable resource...enough information about each mammal for the book to serve as an information source for students, as well as a fun project." --Science Scope. 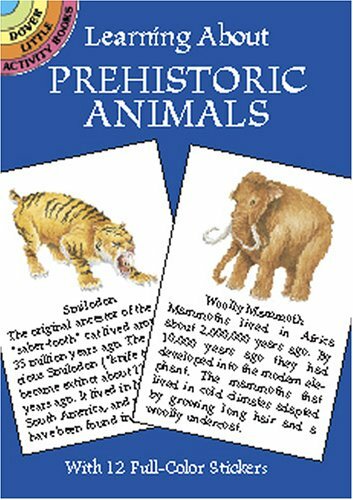 "Added bonuses are the brief information provided about each mammal and introductions to geology, paleontology, and evolution." --School Library Journal.80 pages, 213 b/w illus., 8 1/4 x 11. 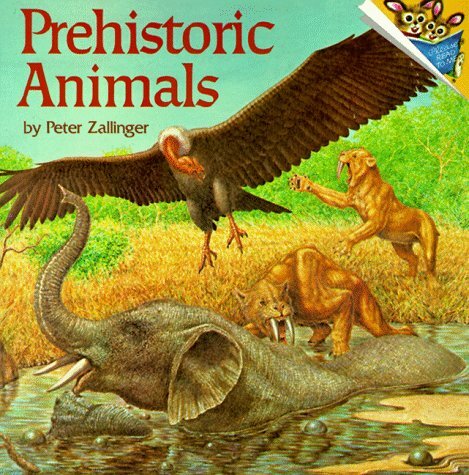 This is a great book to introduce the prehistoric mammals to your kid with. I really liked Ruth's illustrations as a kid myself. My son enjoys looking at the pics too. As a resource, it is pretty weak- but there is very little in print at all for kids on the subject. I am a long-time fan of Dr. Shuker's work, primarily because of the extensive and often exhaustive research he goes into on every topic he covers.This book is no different. When I am researching (or simply reading for enjoyment), I am very difficult to please because far too often I have found a particular book does not have a full background, or some are just plain erroneous with their "facts". 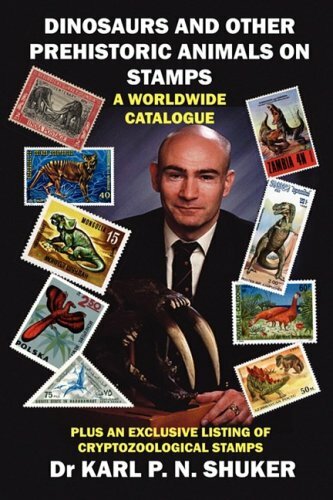 This book is literally a comprehensive take on the subject (prehistoric animals being a personal favorite subject for me) of prehistoric animals on stamps and I now have a guide by which I can delve further into this topic. Dr. Shuker is a man of many interests and has written several books on those interests. You will not be dissapointed by checking out ALL his works. Riversleigh is a major World Heritage listed fossil site, primarily discovered in the late 1970s in Queensland, Australia. Since the first discoveries an abundance of prehistoric Australian fauna dating from 25 million years ago to the present has been recovered, preserved in limestone sediments and ancient caves, which testify to a formerly lush rainforest climate prevalent as Australia drifted north from Antarctica. It is unfortunate that most of Australia's present day, rather unique animals are in fact, just a remnant of what once was, when formerly higher rainfall spanned much of the continent. 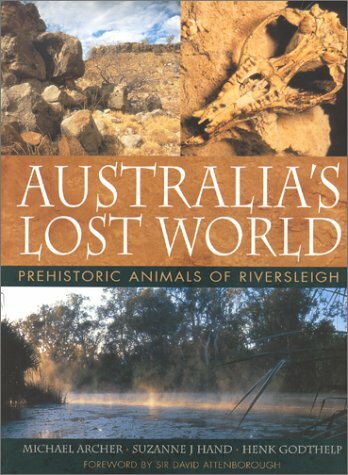 Many lineages and individual species, represented by the abundance recovered at Riversleigh, are now extinct and forgotten, except of course by a few enthusiastic palaeontologists, as described in this book. Readers will be surprised and delighted at the peculiar forms and fantastic colour illustrations and reconstructions presented in this book, and what things can be learnt of their extinction over time, as Australia drifted north. 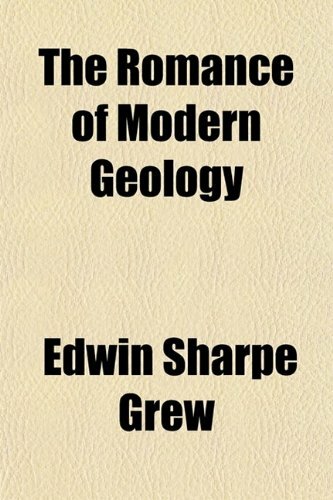 Exquisitely illustrated, with on-site field notes and diagrams should keep the enthusiastic amateur fossil hunter entertained. An abundance of technical notes, photographs of real specimens and colour reconstructions, many of which uphold Australia's reputation for the unusual and/or the alternative, in terms of evolutionary development. Evolutionary experiments abound with examples which include 'thingadonta' (nobody really knows what it is), several species of marsupial lion, Tasmanian 'wolf' (thylacine) ancestors, flesh-eating kangaroos, several failed lines of kangaroos, several platypus ancestors, giant marsupials such as Diprotodon-the world's largest, a giant wombat, koala ancestors, numerous bats, possums, and creepy critters of all types, are presented. No primates unfortunately, and no bears or dogs, but it is interesting how some of these vacant evolutionary niches were filled by marsupial alternatives-especially in the case of the 'Tasmanian wolf', and the carnivorous marsupial 'lion'. And it is interesting to speculate what kind of alternative type of 'marsupial primate' may have (could still!) have arisen. An upright 'hominid'-like marsupial, wandering the Australian plains-who knows if Australian rainforests hadn't have all but disappeared. 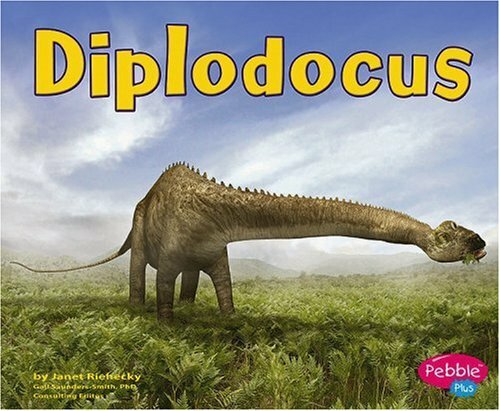 The book puts the various animals and lineages into perspective, describing the changes of climate and habitat loss over the last 25 million years as Australia's climate became drier as the continent drifted north. Many lineages were/are in slow decline before the arrival of the aborigines and Europeans, as Australia's rainforests progressively shrank. What is it like to come face-to-face with the ten-foot-tall terror bird? Or stare into the mouth of the largest meat eater ever to walk the earth? Can you imagine a millipede that is more than six feet long, or a dinosaur smaller than a chicken? 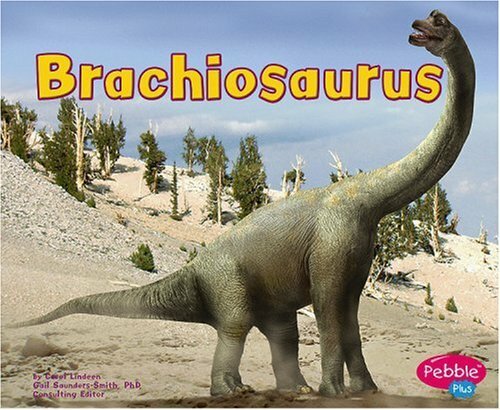 In this actual size” look at the prehistoric world, which includes two dramatic gatefolds, you’ll meet these awe-inspiring creatures, as well as many others. my seven-year-old son loves non-fiction. we gifted this book to his kindergarten class a year ago. 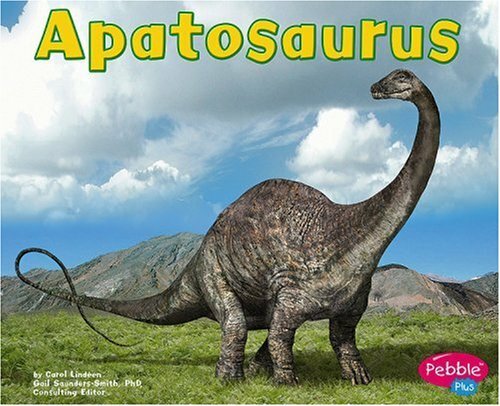 it's amazing as is "Actual Size" which has a Gorilla on the cover and includes animals that are more current. The pictures are fabulous! 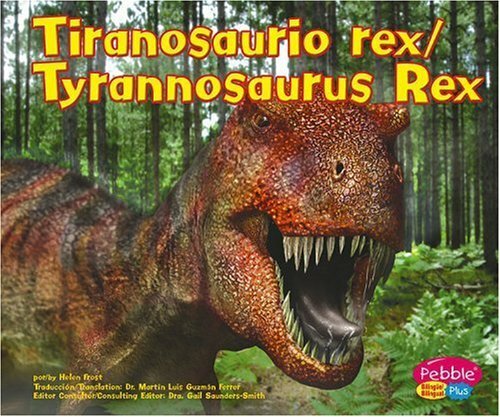 In this crazed topsy-turvey world, it's always nice to have something to hold on to.Like the fact that small children are obsessed with dinosaurs, for example.Year after year, babies are born, mature, and grow into bright-eyed preschoolers who shriek continually for just one thing: DINOSAUR BOOKS!!!! !There are worse things in the world.As a children's librarian I see new dino books all the time and usually they're so dull and rote that it's all I can do to keep from falling asleep as I process them.Now about a year ago I had the good fortune to stumble across Steven Jenkins' brilliant, "Actual Size".Cunningly playing on a child's need to interact with a non-fiction title, Jenkins created gorgeous pictures of large and small animals from around the globe at their actual size.Sometimes only a single eye of a critter would fill a page.Other times, you could fit a tiny monkey within the palm of the smallest hand. 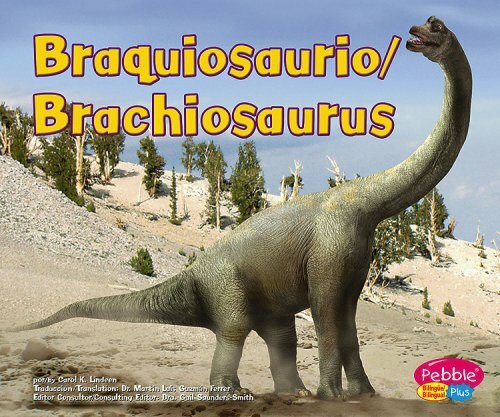 "Prehistoric Actual Size" takes the already grand idea of giving us life-sized cut-out illustrations and mixes in the already existing need for dinosaurs, ancient gigantic millipedes, terror birds, and other animals that no longer exist today.And how the children now wish that they did. The book knows who its audience it.It gently shows a tiny morgan's tooth that's a mere 4-inches-long on the title page.From this tiny mammal (an ancestor, one might wonder) we turn the page and find ourselves staring at a particularly malevolent Velociraptor (with feathers, no less).Serving the kiddies exactly what they want right from the start allows Jenkins to insert little-known prehistoric goodies alongside the better known.A tiny protozoan the size of a period in this sentence stands beside a sea scorpion of 2 meters or so.Kids will meet creatures they've never even heard of, like the flightless and eight foot tall terror bird that ran as fast as a modern horse.Or the rabbit-like Epigaulus with horns and long claws to match.By the end they'll have gone close to a baryonyx's foot and counted the sharp teeth in a dinocephalosaurus' mouth.It makes, I can tell you, for riveting reading. 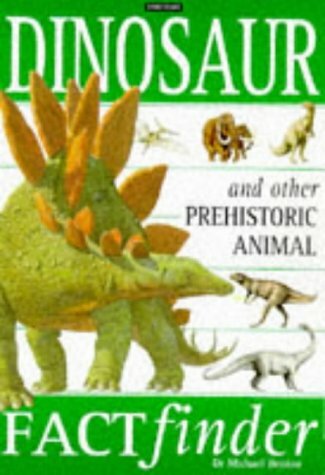 It occurs to me now that if you had a kid that was mighty slow in learning his or her measurements, "Prehistoric Actual Size" (and its predecessor, for that matter) might fall into the category of "godsend".Think about it.Each illustration of a creature in this book comes with a small bit of text underneath the image explaining how large the creature was.Let's say you want to teach kids their inches.Just open the book up to the picture of the Saltopus and point out that this smallest of dinosaurs was a mere 24 inches long.In the case of the Velociraptor, a measuring stick could be laid out on top of the book on the ground and an adult could show a kid just how long 6 feet really are.Kids can imagine the dinosaur reposing on the ground, only its maliciously toothy face visible from the book's pages.Math teachers should sit up and take notice.Measuring prehistoric animals and insects might make boring old inches to centimeter discussions into riveting experiments. Jenkins' illustrations are, as always, remarkable.And for the first time I noticed a real attention to details that most cut-paper artists would never even think of in the first place.Sometimes an animal's eye will contain just the right circle of white felt, giving the eyeballs a shiny glint that would otherwise be lacking.Stare at the pictures long enough and you begin to get a feel for what Jenkins has been able to accomplish. 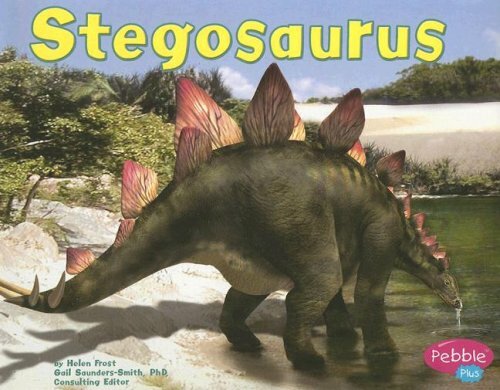 Just in case you pick up this book, flip through it, and give a cry of rage that the critter on the cover is never defined, merely turn the book over and note that on the back cover we are told that this is the beaky maw of an adult Protoceratops.A baby Protoceratops crawls out of its shell to show yet another difference in size.Comparisons between this book and the original "Actual Size" are inevitable. "Actual Size", it occurs to me, did a better job with pure scale.You'd find yourself face-to-eyeball with a giant squid on one page, and then trace the long loopy two-foot tongue of an anteater on another.Here that kind of whimsy is lacking.Jenkins eschews the idea of cramming a creature's extremities (or whatever a tongue constitutes) onto a single page.Though the giant millipede does give the viewer a good visceral shock, the pure pleasure of "Actual Size" feels a bit diluted.A bit strained.Still, none of this is to say that the book won't appeal to the kiddies.I suspect that due to its subject matter, "Prehistoric Actual Size" will be garnering a whole new fan base for itself, all thanks to the dinos within. The idea that something educational can also be fun has been done to death, and usually with deeply un-fun results. 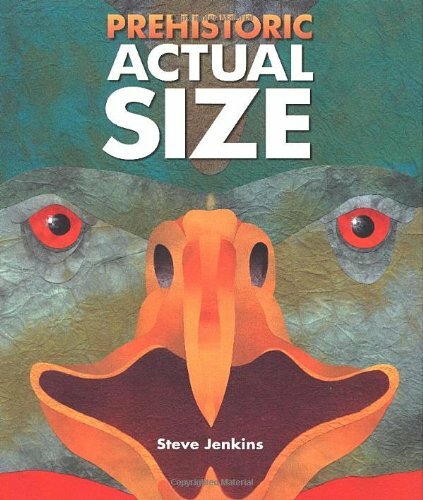 "Preshistoric Actual Size" is an exception to that rule.Incredibly informative, beautiful to the eye, and accurate within an inch of its life, Steve Jenkins makes an almost wholly wonderful addition to his already fabulous cut-paper picture books.A title to put Ezra Jack Keats to shame. 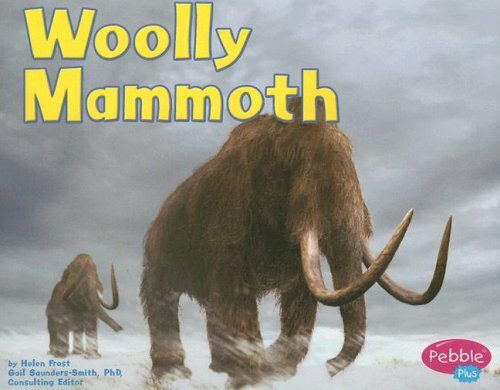 Fact-filled guide introduces youngsters to the woolly mammoth, the dagger-toothed smilodon, the apelike gigantopithecus, and 9 other ancient creatures. 12 sticker illus. This is an awesome book for any young person...my husband loved it when he was a kid....very nostalgic for him and now we can share it with our son.Very imaginative book...they don't really publish stuff like this anymore. I read this terrific book 52 yrs. 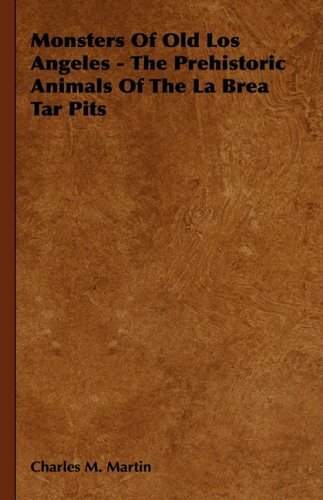 ago.I have read it countless times since then,it was a magnificent saga of Ricky the sage,racoon.and his epic strugle of survival around La BREA.CALIFINIA 40,000 yrs ago, when life was a stuggle every day.I would highly recommend this book to anyone say 10 yrs old and older .